Over the last two weeks, thousands of athletes and spectators flocked to Rio de Janeiro, Brazil, for the 2016 Olympics––and Kohler Maquigeral was honored to light the way. The first city in South America to host the Olympics welcomed over 10,000 athletes, not including 5,000 coaches and team officials, representing 205 countries who vied for the gold between August 5-21. 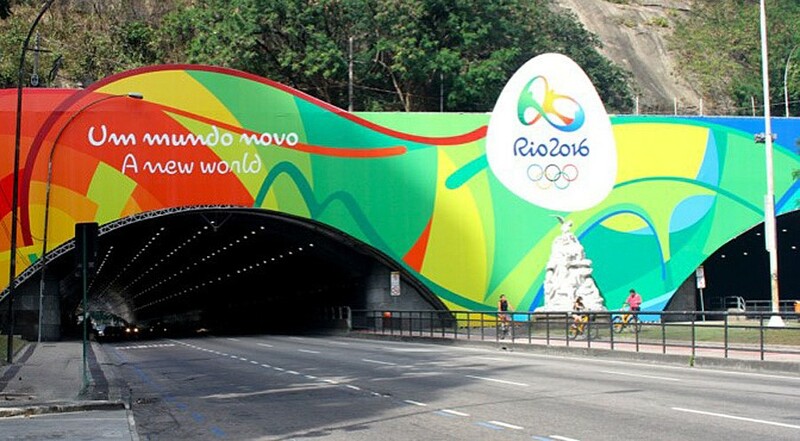 As host city, many infrastructure investments were made to prepare for the Games, including the TransOlímpica bus rapid transit (BRT) line. 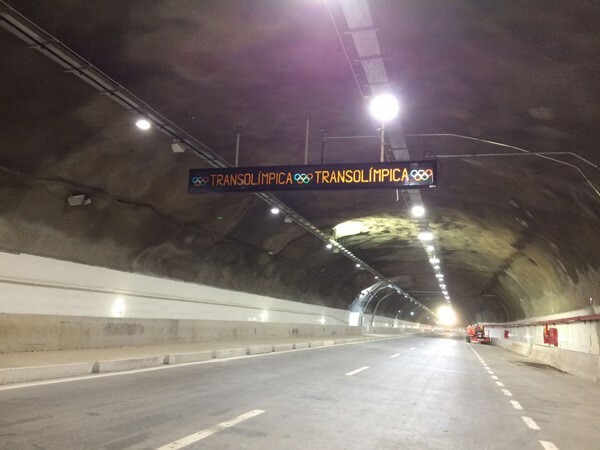 The city constructed the TransOlímpica route to connect the Olympic Park in Barra da Tijuca, in the west zone of Rio, with downtown. This 15 ½-mile-long (25-kilometer) route reduced travel time to the Olympic Park from 2 ½ hours to 30 minutes, with capacity of 55,000 vehicles per day. New within the route was a 1-mile-long (1.7-kilometer) tunnel which took four years to construct. 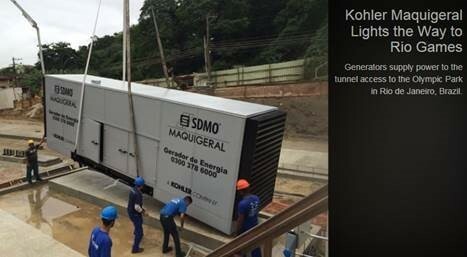 The entire tunnel infrastructure (fire pumps, lighting and signage) was powered by four Kohler Maquigeral container generators, 2 x 550 kilovolts (kVA) each, totaling 4,400 kVA, assembled and installed in just eight weeks. 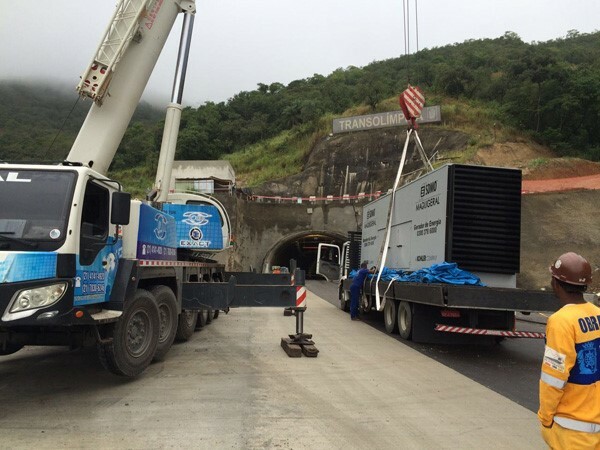 “The TransOlimpica route is one of the main infrastructure investments for the city of Rio de Janeiro. Kohler Maquigeral Generators will not only run during the games, but be part of the long-term legacy,” said Kai-Uwe Hirschfelder, General Manager – Kohler Maquigeral. Kohler Maquigeral provides primary and backup power systems. The Brazilian company, acquired by Kohler Co. through SDMO in 2012, has 270 associates with eight sales offices across Brazil and a facility in São Paulo. 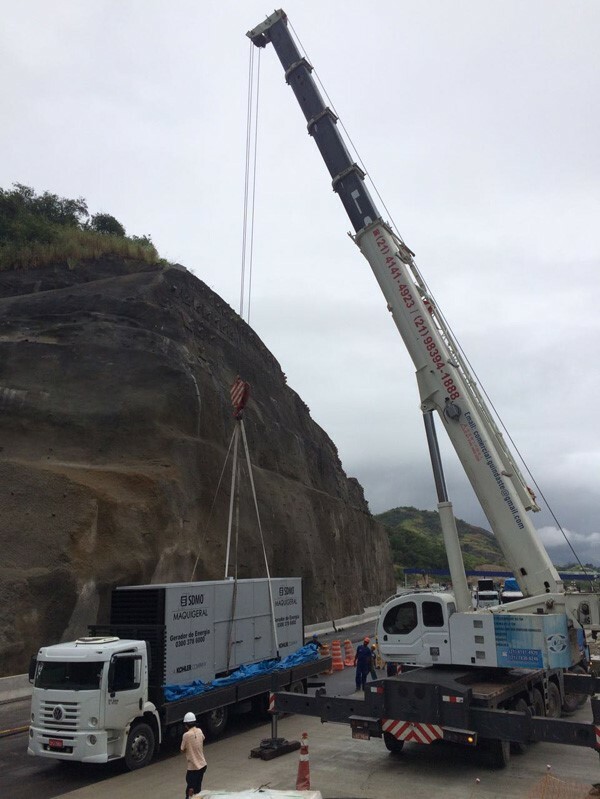 Maquigeral produces generators from 40 to 1,500 kVA and offers uninterrupted power supply services. 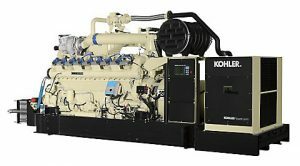 Steiner Power Systems is the authorized Kohler Power Distributor in Northern Illinois and Northwest Indiana for Kohler Generator sales, service and rental. For more information and to speak with an experienced Kohler Generator application engineer, please call 1-847-956-3098. Every Kohler Generator manufactured is unique to each market and end user. While some generators might look similar on the outside, they are made to perform different jobs and serve specific applications. Innovations are introduced during the engineering process for important attributes like fuel type. Meticulous work is put into designing the data boards that run generators for optimal performance by application. And rigorous testing is performed on crucial safety features as well as product durability. Generators powered by propane are specifically designed to efficiently maximize operating levels from that particular fuel source. Generating power through propane provides distinct advantages for mobile generators. Mobile propane generators have an on-board fuel capacity of about 24 hours of run time at 75% load. They act like any other mobile generator in the marketplace with the differentiating factor of having a more efficient on-board fuel type in terms of lower operating costs and higher BTU output performance. Generators need data boards programmed for specific applications in order to run. Without the essential data board, even with the best engine or all of the needed fuel, none of it will run without the right data board. Different data boards are required for each unit – such as for mobile, marine or industrial applications. As a result, data boards hold extremely high importance in the manufacturing of power generators. Each Kohler Generator undergoes rigorous testing before being released for sale. For example, ensuring every propane powered unit is properly tested for gaseous leaks is critical. Testing for leakage is made possible by using ultrasonic technology. Since propane gas is not visible there’s nothing that can be seen to uncover the presence of a leak. Ultrasonic technology allows the tester to hear for any leakage. Another exhaustive testing procedure involves compressing the life of a generator through a thirty-year cycle, which goes beyond routine performance testing that simply checks if a generator is operating as intended. Compression testing provides a clearer understanding for viewing the wear – through accelerated life testing – to find out how the generators will hold up years from now. The process involves loading beyond what the load should be at one time and uses high load factors in order to compress what might be years of usage into a single test. Possessing more insight into the engineering innovations, data programming and rigorous testing Kohler employs in manufacturing their power generators makes it easy to see why Kohler Generators are preferred throughout many industries and used for numerous applications. 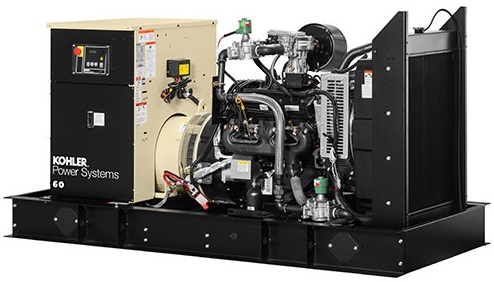 If you would like to learn more about Kohler Generators, or want more information about Steiner’s generator service, rental and sales you can contact Steiner to speak with an application engineer and find out how Kohler Generators can benefit your business: 1-800-STEINER (783-4637). The Kohler name is known for its elegance and beauty in several industries; from furniture and cabinetry to engines and generators. For about as long as they’ve been making faucets, they’ve also been providing power through their power generators. The Kohler Power System Division is a leading manufacturer of generators in the United States. Since 1921, the Kohler power system product line has provided power for people in businesses through all types of applications. Their ability to progress and adapt to the market has been a staple for Kohler’s success in this category. 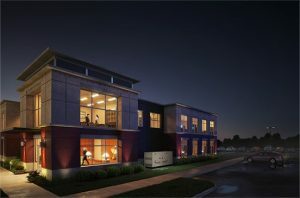 One of their newest products is a cost-effective solution for primary power for builders, contractors and business owners. Here is a look at Kohler Power Systems Propane Generators. Kohler has been manufacturing mobile generators since the company’s inception. With new regulations coming in from the EPA more recently, Kohler decided to focus on a new design; a gaseous mobile unit. For years, customers have requested generators that are placed on wheels, and with propane mobile generators, they are offered just that. For contractors that are on the jobsite – whether it’s a single home or whether it’s an entire neighborhood or commercial complex, Kohler’s mobile generator can be used and reused as a primary power source if needed. Every construction job is different, but the mobile propane generator is an easy product to move, manipulate or reconfigure for whatever the contractor needs. Kohler generators are engineered for reliability, usability and mobility to serve any application, from construction sites in bigger cities to more secluded or remote locations. They can be used for many purposes, such as disaster relief, construction, events, healthcare, or anywhere where backup or primary power is needed. Users benefit from higher energy output levels produced by propane generators, while also obtaining lower operating costs due to propane being cheaper to burn. Customers can save up to 20% in fuel costs with propane vs diesel fuel sources. Other advantages of propane include longer shelf life, cleaner burning, a quieter engine noise level and more emission compliance. For more information contact Steiner to speak with an application engineer and find out how Kohler Generators can benefit you and your business: 1-800-STEINER (783-4637).